Parashat B’har (בהר) — What’s a Jubilee? 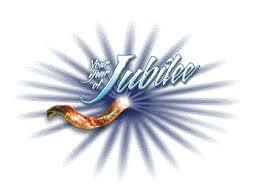 Parashat B’har 2014/5774 (Triennial I) — What’s a Jubilee? In this week’s Torah portion we read about the “yoveil,” the commemoration of the Jubilee every 50 years. But what is a Jubilee? Where does the term come from and what is it all about? Join us as we discuss the physical and spiritual qualities of the Jubilee and its message for our day.